While the Electrocoin name might be virtually unknown in many parts of the world, that’s certainly not the case in the United Kingdom. The company, which was first founded in 1976, has been a major part of the arcade culture in the UK ever since, creating games that have been played by children (and the young at heart) for decades, ever since the first video game cabinets were hitting the market in the late 1970s. If there’s a kind of game you’ve played at a public arcade, chances are that you’ve played a few designed by Electrocoin. From traditional cabinets to pinball machines, games that award tickets that can be redeemed for prizes, and popular competitive tables like air hockey, it would be easy to stock an entire arcade simply with their games – and undoubtedly, there were many owners who did just that over the years. But the company wasn’t just about coin-operated entertainment products. They’ve also made more than a few forays into the gambling world, creating slots and terminals that have been widely distributed to venues throughout the UK. And while this produced is still easily best known for their land-based products, they certainly have nostalgia and familiarity on their side when targeting their home market on the Internet. For over 30 years now, Electrocoin’s best-known contribution to the gambling scene has been the Bar-X line of games. If you’re unfamiliar with these machines, the name is a simple one to understand: these three-reel slots, many of which use the traditional fruit machine setup, mostly rely on bars and x’s as the key symbols in their games. It’s an instantly recognizable motif that has led to a nearly endless supply of variations that can be found across the UK – and now, also at some online gaming sites. Perhaps the best known of the online versions of these machines is the Bar-X 125. This is a three-reel slot with five paylines that only offers two possible prizes: you can win by matching either three X’s or three bars, with nothing else available. The X pays five times your line bet, while the bar is worth 25 coins. Of course, it’s not quite that simple. There are a couple of additional symbols that add twists to the gameplay. First, there is a Bar/X combined symbol that is essentially a wild, as it can substitute for either of the winning combinations, making it just a little bit easier to score multiple wins on a single spin. Meanwhile, there’s also an O on the reels that you’ll want to avoid, as it doesn’t count towards any prizes – and since you’ll need three-in-a-row to book a win, you’ll never score on a line that includes at least one O. With the ability to set any stake you want from £0.05 to £250, you can play this either casually or for big money, though the action remains the same no matter how much you spend. Bar-X: The original single-line fruit machine uses the same Bar/X/O format described above, though it reduces the game to a single payline for you to win on. However, the player does benefit from the bility to occasionally hold or nudge reels, options that add just a modicum of skill to the action and give you a better chance of scoring wins. Bar-X 5: This machine is still seen in a huge number of land-based venues in Britain, despite the fact that it was first launched in 1999. The game is essentially the same as the original version, but has a slightly slicker look and different payouts, paying up to a maximum of 50 times your bet if you can hit three bars in a row. Bar-X Bonus Ladder: Designed to appeal to a slightly more experienced level of gambler, the Bonus Ladder game uses a five-reel format with several variations on the traditional symbols found in all of these games. It also includes a bonus round: hit three bonus symbols, and you’ll have the chance to move up a four-row ladder with increasingly larger prizes on every level. Bar-X Magic 7: Frustrated with those O symbols that ruin your prize winning lines? This machine replaces them with sevens that award even bigger prizes that the bars! You’ll earn 50x your bet if you can hit three sevens in a row, a task that’s in reach thanks to the nudges and holds you’ll accumulate during play. Bar-X Gold Super Spins: This is another of the advanced games that is based on the original brick-and-mortar machines, but expands on the concept for an online audience. This machine is a five-reel, ten-payline slot that retains as much of the classic action as possible by limiting symbols to the Bar/X/O veteran players will be familiar with. However, there is also a Super Spins icon; hit at least three in a row and you’ll get at least one free super spin. These spins are guaranteed to have at least one winning combination, and could potentially offer up far bigger rewards. As you read through the descriptions of these machines, you probably had one of two reactions. It’s possible that these games sounded incredibly boring to you, as they lack features and variety, two things that are considered hallmarks of modern slots. On the other hand, you may also have been hit with a wave of nostalgia, remembering playing these very same games at clubs, pubs, and casinos for as long as you’ve been old enough to gamble. 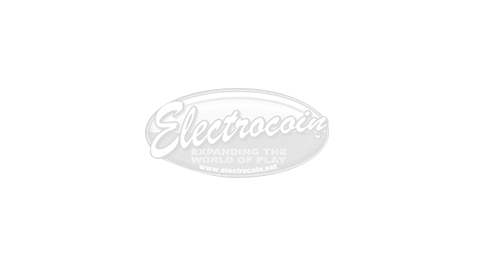 The Electrocoin lineup is designed to appeal almost exclusively to that latter group. There’s not even an attempt here to compete head-to-head with other developers who are trying to create the most innovative, interactive, and eye-catching machines. Instead, this is all about recreating the classic action that Electrocoin fans have loved for decades. We expect many players will continue to cherish these games for many years to come; if you’re among that crowd, you should absolutely seek out sites that carry these classics of British gaming culture.